Well it’s been over 2 months since the 7th half-marathon of the 13 Challenge and indeed that length of time since I raced at all (the 10k was the week after Buxton). With the weather being warm, work being busy, and yours truly having a portfolio of excuses to not go running, it hasn’t been the best prepared race of my life. I guess I lulled myself into a false sense of security – the topography of the route didn’t seem too bad. One big hill but only a 1.5 mile ascent. So it didn’t appear to be a big issue. I guess the clues were there all along, it billed as being a “beach and mountain challenge”. Then there was the mountain. Until today I didn’t realise Conwy has a mountain. It all started off OK, cycle paths and steady inclining roads. But then after mile 7 it went off-road. Sheep tracks, boulders, loose stuff and steep bits. Thankfully I took some gels with me, otherwise it might have been a mountain rescue job! The ascent was hard. At the peak of it something went in my right calf, but I think it was just cramping up as it didn’t give me too much grief. But after 9 miles when the descent started, it was a battle with moving stones, uneven surfaces and tree roots sticking out ready to face-plant the unsuspecting runner into the ground. My official time, despite the floundering was 1h46m48s which whilst is my slowest effort to date during the 13 Challenge, I’m reasonably happy with. Poor preparation didn’t help, nor did an inability with hilly bits, but then looking at the classified results, the fastest runners completed the course in 1h20m. Flat courses I’d normally expect the winner to be around in about 70 minutes (give or take) so if they were 10 minutes off the flat time, well actually so was I. Tired at the end of it, and sore toes from the abuse of the uneven descent. Calf muscles seem to be fine, despite the cramping on the mountain, so hopefully all is well health wise. 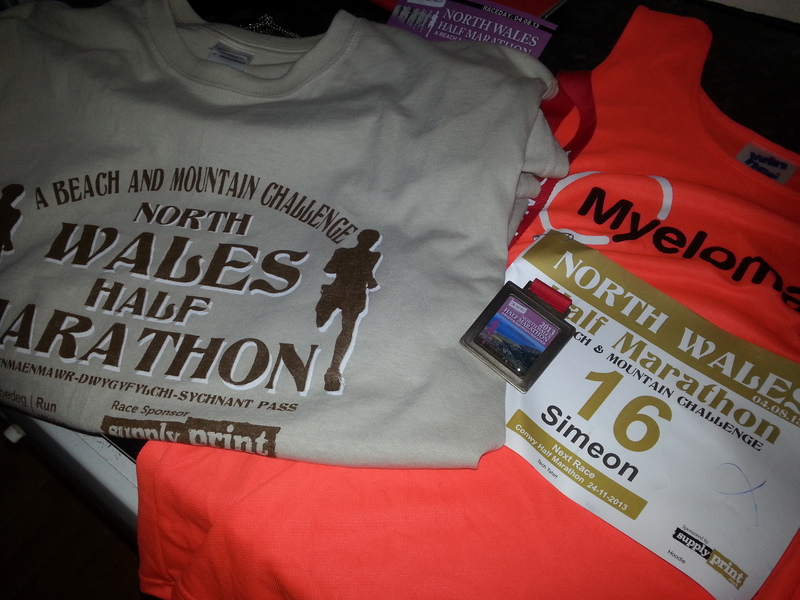 It does mean that I do need to make a good effort to prepare for half-marathon 9 – Macclesfield. It’s more undulating than hilly, and I do have a comparitive time from last year. More importantly though, as I’m running Macc, Congleton and Oxford on consecutive weekends, I need to make sure that muscle health and diet are actually taken into consideration! 1 Comment on "Beastie and the Beach – or how not to prepare for a half-marathon"